Blue is a flexible, total end to end solution for all your corporate asset management needs with regards to Aviation and Yachting/Shipping. Be more effective by obtaining accurate information fast by filtering and reporting, getting under control all aspects of yacht/aircraft management and by taking advantage of an intuitive user friendly interface. 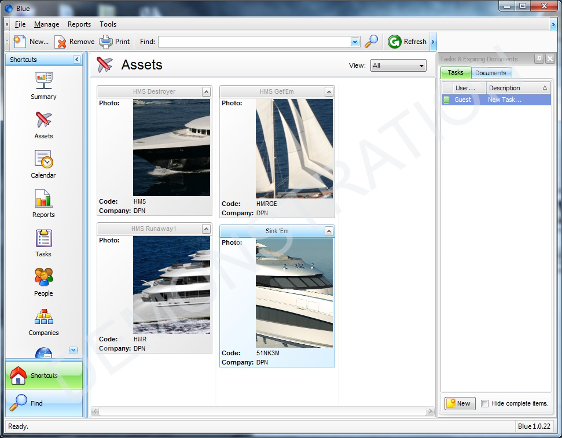 Our aim is to allow customers to utilise leading computer technology to assist in the management of yachts/aircraft. This software features user friendly features such as, name, image, contact details, flag state, classification, length, breadth, gross tonnage and transponder details. 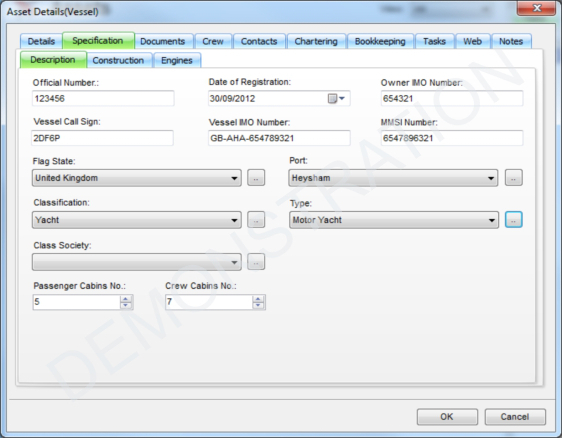 Assists with crew administration, holding all the standard information including, name, address, nationality, residency, date of birth, gender, marital status, next of kin and Visas. This module will also link to Payroll software. Furthermore, Blue can charter plan with guest lists, associated documents required and cost analysis. A central holding area for information such as, Company name, number, Jurisdiction of registration, registered office details, directors details and scanned copies of important documents. This can link to a full CSP Package. One of the biggest hidden costs that paper intensive businesses face is the time it takes to work with paper files, with employees spending time walking to and from central records rooms finding and replacing documents. Blue will hold all your important documents in a central location also advising you where the original is stored. Adding an expiry date will mean your team will no longer miss those all important renewal dates as Blue will notify you.